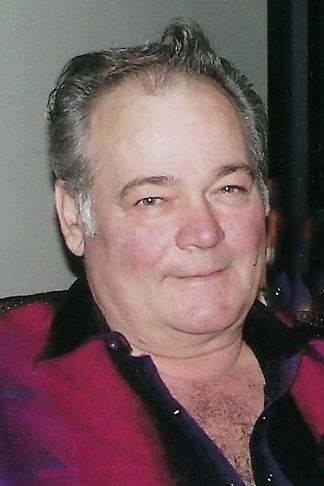 DELMAR, Wis. — James R. Milas, 72, of Delmar died Tuesday March 12, 2019, at Our Lady of Victory Hospital in Stanley. He was born Sept. 11, 1946, to the late Stanley Sr. and Florence (Drozd) Milas. James went to Stanley-Boyd High School. He married Beverly Zais Jan. 6, 1968, at St. Joseph’s Catholic Church in Boyd. James farmed with his wife at the family farm in Delmar. James devoted his days being a best friend and caregiver for the love his life Beverly. He enjoyed deer hunting and spending time with family and friends. Survivors include his three sons, Scott (Sandy), Brent (Kare) and Rod (Angela) Milas all of Boyd; his mother, Florence Milas of Stanley; eight grandchildren, Samantha (Chris) Haas, Crystal (Cora) Milas, Rebecca, Benjamin, Mitchell, Austin, Weston and Wyatt Milas all of Boyd; three great-grandchildren, Troy, Rylee and Paisley Haas of Boyd; his brothers, Stanley Jr.(Sue), Michael (Tracy), of Boyd, Richard (Marsha) of New Mexico; and his sister, Nancy (Craig) of Alabama and Shirley (Sam) Olson of Boyd. He is preceded in death by his father, Stanley, Sr.; his wife, Beverly; and two siblings. A service of Christian burial will be held at noon Monday, March 18, at the Plombon Funeral Home with Deacon Ned Willkom officiating. Visitation will be from 9 a.m. Monday morning until time of service. Inurnment will take place at a later date in St. Mary’s Catholic Cemetery in Huron. 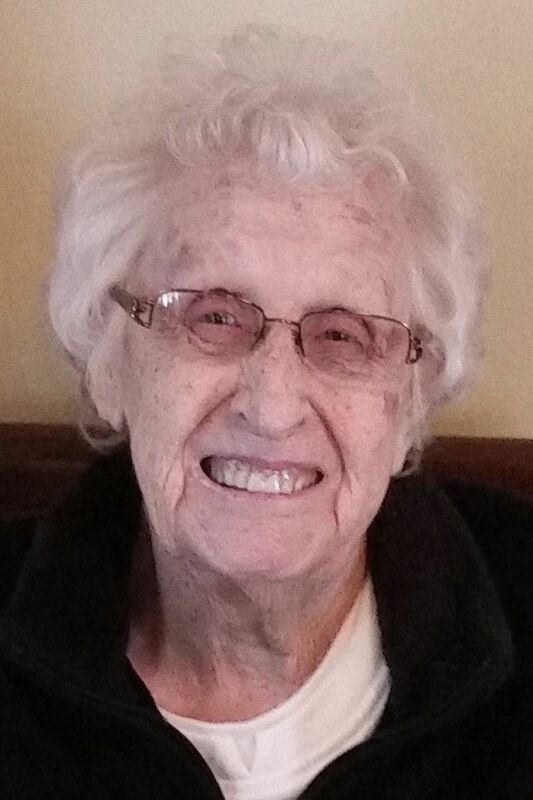 CHIPPEWA FALLS/CADOTT — Viola M. Putman, 89 of Chippewa Falls and formerly of Cadott passed away Tuesday, March 12, 2019, at Our House Senior Living Chippewa Falls. She was born Aug. 22, 1929, in South Dakota to William and Mary (Schneider) Sahm. Viola was united in marriage to Arthur R. Putman Oct. 6, 1952, at Holy Ghost Catholic church in Chippewa Falls. Unto this union four daughters were born. Viola worked at Presto, Chippewa Woolen Mill and the Northern Center. She was a faithful and devoted member of St. Rose of Lima Parish in Cadott for many years. She was a Sacristan, a “job” she was very proud of and played the organ for many masses. She was also a member of the American Legion Ladies Auxiliary Unit #159. In her spare time she liked to knit and crochet. She made many afghans, sweaters, etc. for her children and made different sets of doll clothing for each granddaughter. She bowled and loved doing search-a-word puzzles. She loved family gatherings and watching her great-grandchildren. She also loved all animals. She is survived by her children, Linda Putman of Eau Claire, Mary (Tim Rowan) Putman of Chippewa Falls, Sandra (James) Buetow of Cadott and Charlotte (Rick) Blank of Cadott; special friend who she called her “adopted” daughter, Alice Strohmeyer; two granddaughters, Jami (Matt) Rubenzer of Bloomer and Krista (Mario) Capozzi of Cadott; two stepgrandchildren, Jeremy Blank of San Diego, Calif., and Matthew Blank of Chippewa Falls; five great-grandchildren, Logan, Cooper, Beckett and Everly Rubenzer and Mason Capozzi; as well as special niece, Bev (Ron) Bauer; sister-in-law, Loretta Sahm; and many other nieces and nephews. She was preceded in death by her parents; her husband, Art; one sister, and two brothers. A Mass of Christian Burial will be held at 1 p.m. Saturday, March 16, at St. Rose of Lima Catholic Church in Cadott with Father William Felix officiating. Interment will be in St. Rose Cemetery following the Service. Visitation will be from 11 a.m. Saturday until the time of service at the church. Arrangements by Leiser Funeral Home Cadott, Wis.
We would like to thank Dr. Amy Rantala and her nurse Jessica for all the special care, all the employees at Our House Senior Living for all that they did for our Mom in the years she lived there and also to Interim Healthcare for accepting her into the Hospice Program and the care, concern and help they provided to her and our family. Edward Frank Proue, 96, of Chippewa Falls died Saturday, March 9, 2019, at his home surrounded by family. He was born in St. Paul, Minn., Feb. 3, 1923, to Frank and Mary (Coverdale) Proue. He had one older sister, Muriel (Steele); one younger sister, Carole (Henley); and an identical twin brother, Richard. His mother died of cancer when he was four years old and Ed and his brother were sent to Sheltering Arms Orphanage until the age of eight. After his father remarried, he lived with his father and stepmother until the age of 16 when he was sent to work on his dad’s cousin’s farm in Bloomer. In 1945, Ed left the farm and was soon drafted into the army. He served in the army for seven years, with five of them spent in Japan. He received several awards including the Good Conduct Medal, the World War II Victory Medal, the Army of Occupation Medal with Japan Clasp, the National Defense Service Medal, the Korean Service Medal, and the United Nations Service Medal. Following his time in the army, he served an additional five years in the National Guard. Ed married Ardis (Prill) at St. John’s Lutheran Church in Bloomer June 27, 1953. He became a member of Central Lutheran Church in 1955. His deep Christian faith is evident by his lifelong service to and active involvement in his church community. He and his wife raised eight children, Deborah Braden of Chippewa Falls, Barbara (John) Sommerfeld of Rice Lake, Wis., Timothy (Mary A.) Proue of Chippewa Falls, Cynthia (Keith) Wergeland of Chippewa Falls, Cheryl (Roger) Dahl of Chippewa Falls, Randall (Elaine) Proue of Chippewa Falls, Thomas (Tammie) Proue of Menomonie, and Mary E. Proue (deceased); along with a granddaughter, Melissa Proue of Chippewa Falls. He has 19 grandchildren, Casey, Scott, Amanda, Jessica, Jackie, Beth, Josh, TJ, Jason, Afton, Krystal, Breanna, Nick, Dawn, Nathan, Tiffany, Andrew, Jacob, Adam; and 38 great-grandchildren with one more due in August. Ed worked for the U.S. Postal Service for 25 years and after he retired was a custodian for 21 years at Central Lutheran Church in Chippewa Falls. Ed was an active member of the Boy Scouts of America for over 50 years and 18 of these were spent serving as a scoutmaster. His three sons and seven of his grandsons achieved the rank of Eagle Scout, the highest rank in Boy Scouting. Ed earned the Arrowhead Award, the Silver Beaver Award, the Wood Badge, the District Award of Merit, the Scouter’s Training Award, the Scoutmaster’s Key, and the Lamb Award. He was also an active member of Central Lutheran Church for 64 years where he was awarded the Faithful Discipleship Award. He was a member of the Chippewa Falls Optimist Club, the American Legion, and on the Housing Authority Board. Ed loved spending time outdoors fishing, feeding the birds and squirrels, and relaxing with his coffee cup in his hand. He also enjoyed doing word searches, puzzles, and visiting with family and friends. He loved his birthday parties, which always had a theme and bingo was always played. He is truly a friend to all he meets. He always had a story and inspirational memory to share and will be missed by all who loved him. He was preceded in death by his parents; stepmother; father-in-law, Rudolph Prill; mother-in-law, Mildred Prill; sisters, brother, sister-in-law, Irene Foster; brother-in-law, Frederick Slayton; and daughter, Mary. Visitation will be held from 4 to 7 p.m. Wednesday, March 13, at Pederson-Volker Funeral Chapel with a Military walk-through at 4:30 p.m.
A celebration of his life will take place at 11 a.m. Thursday, March 14, at Central Lutheran Church, Chippewa Falls with the Rev. Aaron Sturgis officiating. Visitation will begin at 10 a.m. at the church. Military Rites will be conducted by the Chippewa Falls Patriotic Council. Interment will be at Forest Hill Cemetery, Chippewa Falls. In lieu of flowers, please send donations either to the Boy Scouts of America, Chippewa Valley Council or Central Lutheran Church in memory of Ed. Irene Jahns, 86, of Chippewa Falls passed peacefully at Lake Hallie Memory Care with family by her side Thursday, March 7, 2019. Irene was born to Clarence and Alma (Goetz) Lunderville Nov. 22, 1932, in Chippewa Falls. She graduated from Cadott High School. Irene married Albert Jahns Nov. 29, 1958, in Chippewa Falls. She worked at the Northern Wisconsin Center for nearly 40 years. Irene enjoyed bowling, horseshoes, playing cards with friends, traveling, going to thrift sales and spending time with family. She loved her family very much and adored watching her children, grandchildren and great-grandchildren grow through the years. Irene is survived by her sons, Keith Jahns of Chippewa Falls and Jeff Colins of Winter, Wis.; grandchildren, Justin Jahns of Eau Claire, Brittany (Shane) Larson of Chippewa Falls, Amanda (Kyle) Eastling of Ellsworth and Jeff (Dawn) Nicolai of Chippewa Falls; great-grandchildren, Olivia, Ryleigh, Waelen, Caden, Graice, Nora, Isabelle and Jazzmynn; she is also survived by many nieces, nephews and other relatives. She was preceded in death by her parents; husband, Albert; and sister, Hazel. A short memorial service for family and friends will be held at noon Tuesday, March 12, at Pederson-Volker Funeral Chapel, 44 E. Columbia St. The Rev. Aaron Sturgis will be officiating. Robert J. Goulet, 94, of Chippewa Falls died Sunday, March 10, 2019, at HSHS Sacred Heart Hospital in Eau Claire. Bob was born Jan. 15, 1925, in the town of Wheaton, the son of Charles and Emily (Beaudette) Goulet. On Aug. 26, 1950, Bob married Eloise Eder at St. Peter’s Catholic Church in Tilden. Bob bought the farm from his parents in 1959 and farmed most of his life. He also hauled milk for many years and cherished the friendship of his patrons. He was a member of Christ Episcopal Church in Chippewa Falls. Bob enjoyed playing cards and going to the casino. He also enjoyed having breakfast with his Wheaton buddies. Bob is survived by his loving and supporting companion, Mary Klawiter of Chippewa Falls; two sons, Thomas (Crystal) and Charles “Butch” (Karen) both of Chippewa Falls; two daughters, Jayne (Reuben) Ortiz of Phoenix, Ariz. and Janet (Kevin) Smith of Ellicott City, Md. ; sister-in-law, Geraldine Goulet of Chippewa Falls; and Mary’s children, Anne (Peter) Kelley of Lafayette, Calif., Susan (Gina) Barnes of Oakland, Calif. and Tom (Christine) Klawiter of Waukesha, Wis.; 11 grandchildren, Kristofer Geissler, Heather Brandt, Stacey Martinelli, Brian Goulet, Ryan and Rachel Smith, Cali Goulet, Allison and Colin Kelley, Loula Barnes and Jonathan Klawiter; and four great grandchildren. Bob was blessed to have fallen in love twice. Mary supported and cared for Bob unselfishly through his failing health. She was a wonderful bright spot in Bob’s life. Bob was preceded in death by his wife, Eloise Sept. 15, 1988; his parents; two brothers, Clifford and Clayton Goulet; and two sisters, Nilah McDonald and Lucille Schuster. A memorial service will be held at 11:30 a.m. Friday, March 15, at the Horan Funeral Home in Chippewa Falls. The Rev. Canon Aaron Zook will be officiating. Inurnment will be in Hope Mausoleum in Chippewa Falls. Friends may call from 10:30 a.m. Friday, March 15, until the time of services at 11:30 at the funeral home. In lieu of flowers, Bob’s family would appreciate memorials to the American Lung Association, Chippewa County Humane Association or the Chippewa County Historical Society. CHIPPEWA FALLS/CORNELL — Cecelia Harm, 97, of Chippewa Falls, formerly of Cornell passed away Thursday, March 7, 2019, at the Chippewa Manor, under the care of St. Joseph’s Hospice. Cecelia was born the daughter of John and Mary (Derdowski) Styczinski May 5, 1921, in Conrath, town of Marshall, Rusk Co. She was united in marriage to Henry Harm July 5, 1952, in Cornell. Cecelia was an elementary educator for many years; she started her career teaching in a single roomed school nicknamed “the dog patch.” She also taught in various locations, including Jim Falls, before completing her teaching career in Cornell. After her retirement from the Cornell school system she enjoyed quilting, painting and doing crossword puzzles. She is survived by three daughters, Mary (Patrick) Wedig, Carol Harm, Jane Zwiefelhofer; one son, Thomas (Christine) Harm; one sister, Florence Shelton; one brother, Lewis (Patricia) Styczinski; grandchildren, Leslie Wedig, Amy Wedig, Jerod (Chelsea) Wedig, Jesse (Alissa) Wedig, Alex (Taryn) Harm, Erik Harm, Henry (Allison) Zwiefelhofer; also six great-grandchildren and one due this summer. She is preceded in death by her parents; her husband, Henry; sisters, Irene Styczinski, Helen Styczinski, Sophie Rawls, Anna Cox; brothers, Al Styczinski, Ted Styczinski and John Styczinski. Funeral services will be at 10:30 a.m. Tuesday, March 12, at The Chippewa Manor Chapel in Chippewa Falls, with the Rev. Robert Hoekstra officiating. Private family interment will be in the Pine Grove Cemetery. Visitation will be from 9:30 a.m. until time of service Tuesday at the Chippewa Manor Chapel. Express condolences online at www.leiserbortonfuneralhome.com. Leiser-Borton Funeral Home & Cremation Services. Angela J. “Joan” Adkins, 91, of Chippewa Falls died Wednesday, Jan. 30, 2019, at The Classic at Hillcrest Greens in Altoona. Joan was born Oct. 12, 1927, in Colton, S.D., to Erling and Evelyn (Wang) Blom. She graduated from Eau Claire Senior High School in 1945 and went on to earn a teaching degree from St. Olaf College in Northfield, Minn. It was while teaching Spanish and History in Rice Lake, Wis. that she met Frank C. Adkins, and they were married June 14, 1953. Joan is survived by three daughters, Laurie (Tom) Pfiffner of Lodi, Wis., Jane (John) Modjeski of Eau Claire, and Jill (Dan) Hietpas of Chippewa Falls; five grandchildren, Simon (Elizabeth) Pfiffner, Zachary (Katy) Pfiffner, Megan (Ben) Balgord, Kirk and Evie Hietpas; four great-grandchildren, Lucas and Emerson Pfiffner, Wesley Pfiffner, and Cora Balgord. She is further survived by her sister-in-law, Nancy Blom; her aunt, Ruth Blom; many nieces, nephews, and cousins, and special son-in-law, Sean Krill. Joan was preceded in death by her parents; husband, Frank; son, Guy; granddaughter, Ingrid Hietpas; and her brother, Burton. We take peace in knowing she is reunited with those she loved and is singing with a beautiful choir in her heavenly home. A celebration of Joan’s life will be held at 11 a.m. March 15, at Our Saviour’s Lutheran Church, Chippewa Falls with the Rev. Karen Behling officiating. A luncheon recognizing Joan’s Norwegian heritage will follow the service. A private burial with the family will be at Forest Hill Cemetery, Chippewa Falls at a later date. WINTER, Wis. — Maynard Paul Bergeron, 76, of Winter, formerly of Chippewa Falls, died peacefully at HSHS Sacred Heart Hospital Monday, March 4, 2019. Maynard was born to Martin Sr. and Caryl (Smith) Bergeron Sept. 13, 1942. He graduated from Chippewa Falls Senior High School in 1960. He proudly served his country with the U.S. Navy from 1960 until his Honorable Discharge in 1964. He completed CVTC’s Industrial Draftsman Course in 1969. Maynard and his wife, Patricia Stenberg, were married Sept 22, 1984. He was a devout catholic and an active member at both Holy Ghost Catholic Church in CF and St. Peter’s in Winter. Maynard worked for over 30 years driving for Gateco Liquor after starting his career at a machine shop. He also spent many of those years umpiring for the CRBL and softball leagues/tournaments. Maynard lived much of his life in Jim Falls. He was proud to be part of this small town and supported the town of Anson community as a volunteer fire fighter. Maynard loved his family very much and enjoyed the companionship of his four-wheeling buddies Martina, Marley, and Mia along with the many other canines that captivated his heart throughout his lifetime. He truly appreciated the outdoors and especially liked camping, hunting, fishing and four-wheeling. Maynard also loved his Packers, Brewers, and Badgers and was very particular about his Brandy Old Fashioned Sweet. Maynard is survived by his wife, Patricia; children, Paula (Neil) Boos, Melissa (Steve) Bowe, Saira (John) Caneff, and Paul (Fiancée Kelly Hartung) Bergeron; stepchildren, Mark Marlowe, Michelle (John) Swansinger, and Mindy (Craig) DeMars; grandchildren, Nicholas, Samantha, Tyler, Dahlton, Kenessa, Drake, Orion, Alexis, Mikayla, Brooklyn, Caleigh, Pearl, Chandler, Aftyn, Brenden, Morgan, Jacob, Linsey, Madelynn, and Garrett; great-grandchildren, Landon and McKenna; siblings, Pauline (Larry) Davis, Barbera Schemenauer, Roshelle (Jim) Lee, Sharon Uphoff, Martin Jr. (aka Prune), and Terry (Elke) Bergeron. Along with many other loving relatives and dear friends. He was preceded in death by his parents; brothers, Roger, Paul, and Lucky Bergeron; and granddaughter, Briella. The visitation will be held from 4 to 7 p.m. Tuesday, March 12, at Pederson-Volker Funeral Chapel, 44 E. Columbia St., Chippewa Falls. The funeral Mass will be at noon Wednesday, March 13, at Holy Ghost Catholic Church, 412 S. Main St., Chippewa Falls, with a visitation one hour prior to the mass at church. Fr. Justin Kizewski will be officiating. Military honors will be conducted by the Chippewa Falls Patriotic Council following the mass at church. Interment will be at a later date in Hope Cemetery, Chippewa Falls.